CanPacers is a non-profit repository sponsored by the American College of Veterinary Internal Medicine (ACVIM) Cardiology subspecialty, and maintained by Dr Kate Meurs at North Carolina State University. 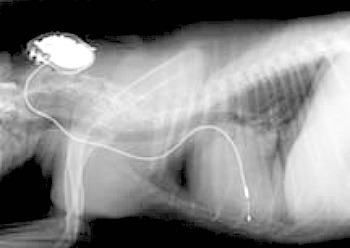 Our mission is to provide cardiac pacemakers and leads for veterinary patients. At this site, you will find information about pricing, available systems and directions for ordering a pacemaker for implantation into your patient. We no longer accept donations of previously implanted generators. All CanPacers' generators are unused.